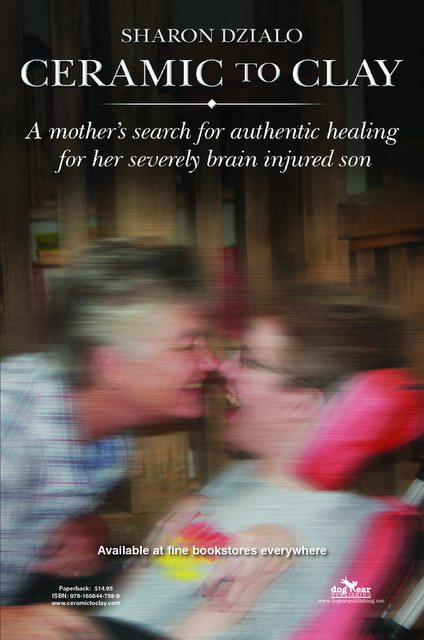 "Ceramic To Clay: A Mother's Search for Authentic Healing for Her Severely Brain Injured Son" by Sharon Dzialo was recently published in October, 2010. This blog provides ordering information and a place for discussion and comment and future happenings. Please feel free to join. an ideal manner of writing? I have a presentation next week, and I am at the search for such info. Howdy! This post couldn't be written any better! Looking through this post reminds me of my previous roommate! He constantly kept preaching about this. I'll send this information to him. this site? I'm getting tired of Wordpress because I've had issues with hackers and I'm looking at options for another platform. I would be awesome if you could point me in the direction of a good platform.